It is surprising how many people in the web design business have no idea where they have been or where they are going with their business. The reason for this is that it takes so little to get started in web design. All one needs is a computer, some software and a place to set up. Perhaps a phone would be nice and business cars and brochures and the like, but one can be set up with a web design business in a day. No matter how much one knows about the technical or artistic sides of web design, they will not succeed without some long and short-term plans for their business. To be successful in business, you need to know where you have been, where you are going, what has worked and what has not worked. For this reason, the first installment of the Power Verbs business tips covers the Business Plan. Assists you in obtaining financing for your business. Provides you with a measure for evaluating results. Helps you uncover potential weaknesses. Commits your plans to writing. Helps you identify overlooked opportunities. Helps you anticipate and adapt to change. Tests the commitment of you and your team members. Writing a business plan can seem like a daunting task. It is and it should be. You will have to ask yourself some tough questions. It will be a test to see if you really have what it takes to run a business. Figure this, if you cannot write a business plan, how are you going to handle the more complex issues like taxes, hiring contractors, and getting clients? Here are some preliminary steps to help you get started. Do a mission statement. Answer these questions: why should this business exist? Who will be its clients, and how will it benefit them? Why will they be better off? Where will you find your clients? Consider your keys to success. Name three or four critical factors that will be essential to this new business' survival. Be tough about it, because you will normally want the business to work, so don't underestimate the importance of critical elements. For example, don't think you can start a web design business without a great, low cost printing company at you disposal. Do a simple market analysis. Estimate how many potential clients the business will have. Define the traits that will make somebody a potential client. Where do those clients now purchase, if at all? Are there enough potential clients? Do you want many small clients or a few large clients? Can you rely on your clients to pay on time? Do a simple break-even analysis. How many web sites will you need to cover costs? Are you being realistic? Add up the costs you'll have for rent, overhead, contractors, advertising, etc., then figure out how much money you'll make for each site you produce, after it's specific costs, and calculate how many sites you need to break even. Now think about it. Is there a there there? Do you really have a potential business? If you do, then you need a real business plan. If you don't, then save yourself the time and trouble. Go find a job where you can make good use of your skills. Do not think you have to write your business plan in a day or even a week. It may take you several weeks to answer all the important questions. The important thing is to set yourself a deadline and stick to it just like you do with the web sites you produce. The best way to get started is to carry a notebook with you in which you can jot down ideas as they come to you. When you sit down and begin writing your business plan you can take out this notebook and evaluate your ideas, refining them and integrating them into your overall "big picture". 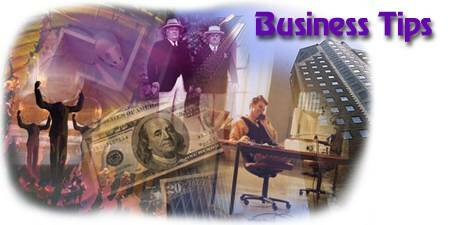 The following is a list of what a business plan consists of. In your notebook, make a separate section for each one of these titles. Fill in your ideas as they come to you. This helps with your organization when you sit down and start writing. Figure you business plan running 25 to 35 pages. Keep in mind that this plan is not cast in bronze. Your business plan needs to be flexible and always in consideration of change. As your business grows, things will alter and your business plan needs to reflect that change. Having a set of "questions to answer" about your business forces you to take an objective and critical look at your ideas. Putting it all down on paper allows you to change, erase and refine everything to function in the manner of a smoothly oiled machine. You'll be able to spot weaknesses and strengthen them before they develop into major problems. Overall, you'll be developing an operating manual for your business - a valuable tool that will keep your business on track, and guide you in the profitable management of your business. Remember too, that statistics show the greatest causes of business failure to be poor management and lack of planning - without a plan by which to operate, no one can manage; and without a direction in which to aim its efforts, no business can attain any real success.